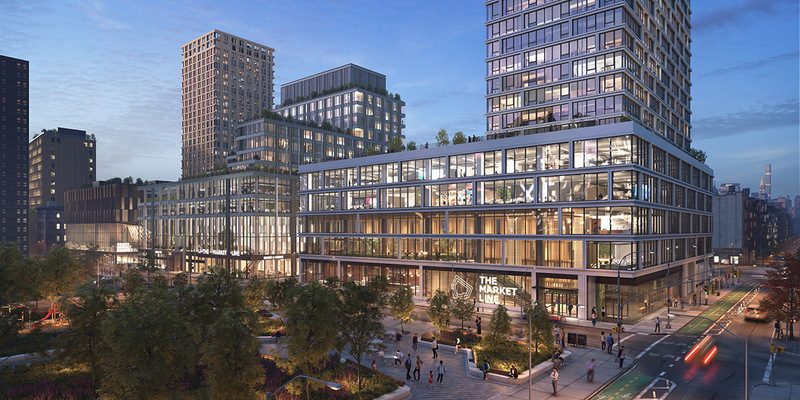 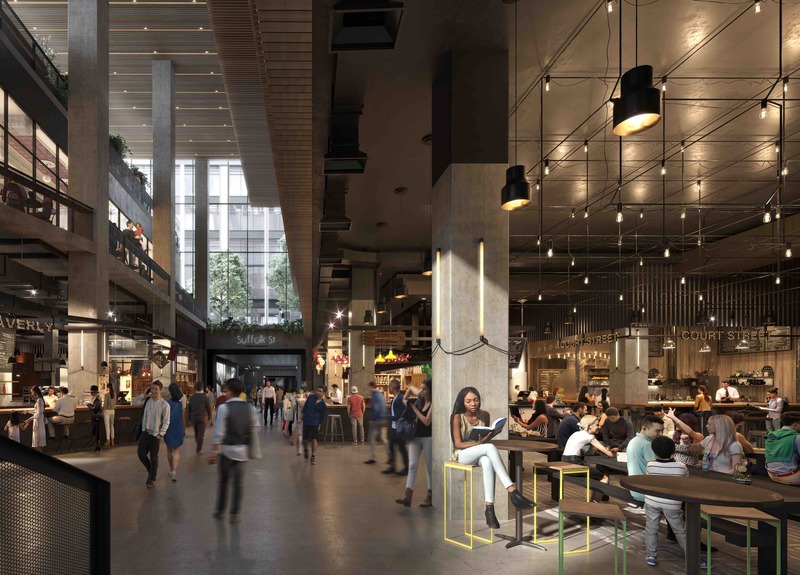 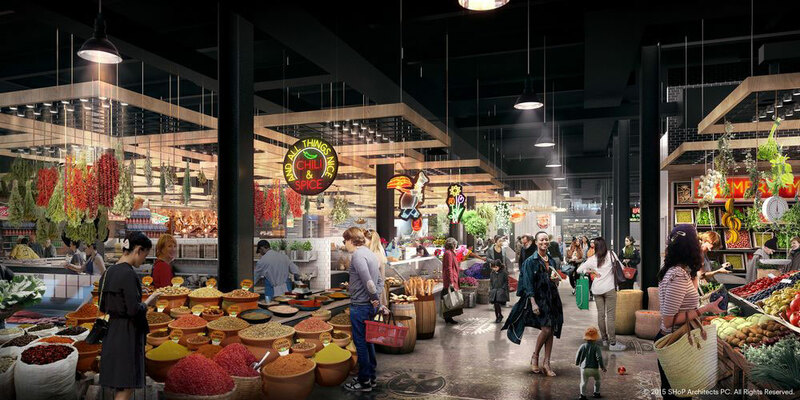 This below ground marketplace will span three city blocks and feature a food hall, a variety of large and small businesses, and amazing architectural elements including a light scoop, a 40-foot-tall glass wall, that will bring in natural light to the underground landscape. 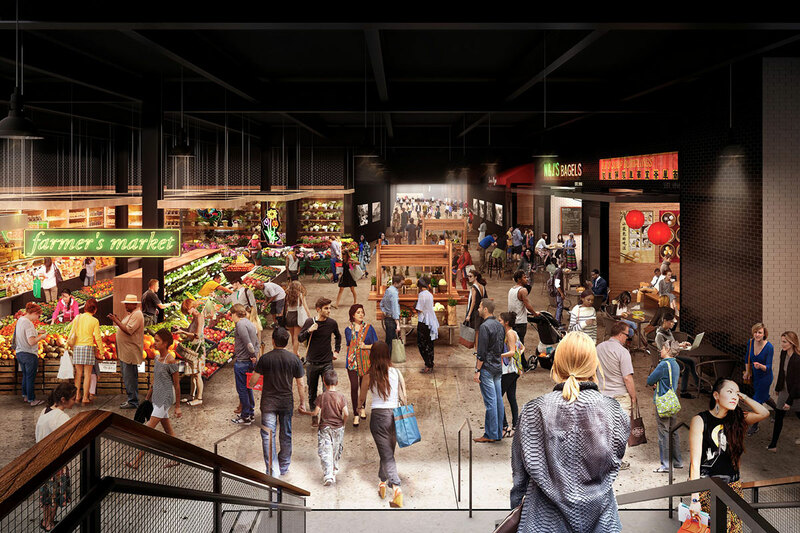 It will be anchored by the historic Essex Street Market in its new home. 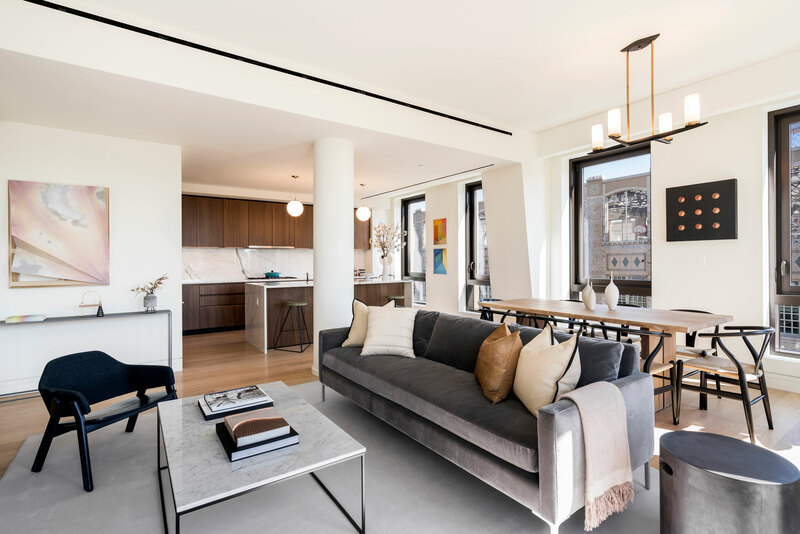 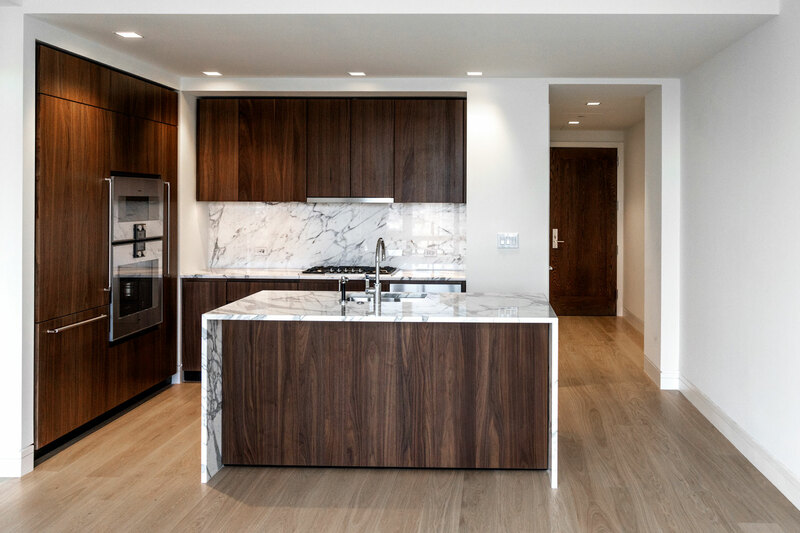 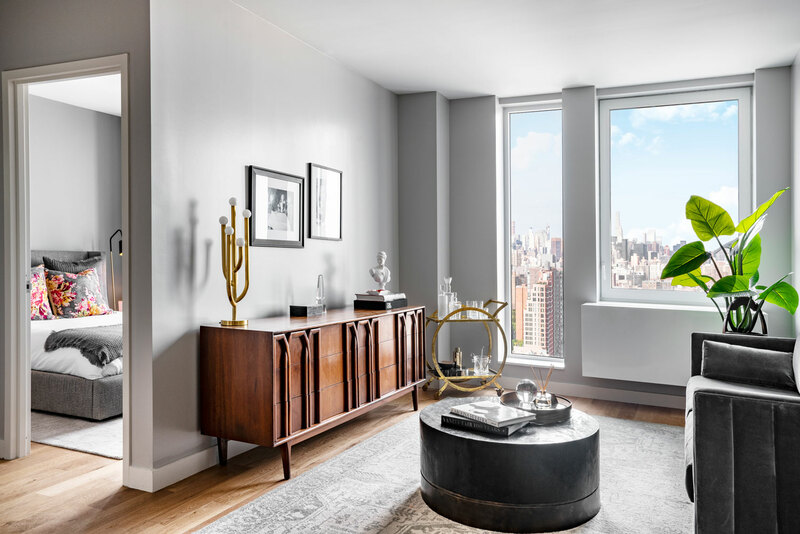 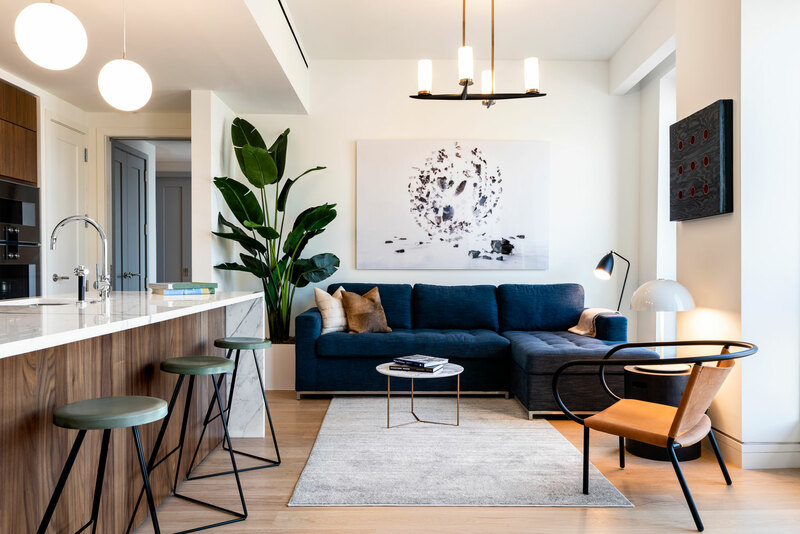 This newly erected 14 story building houses fifty five condominium residences that are characterized by gracious proportions and open-plan layouts. 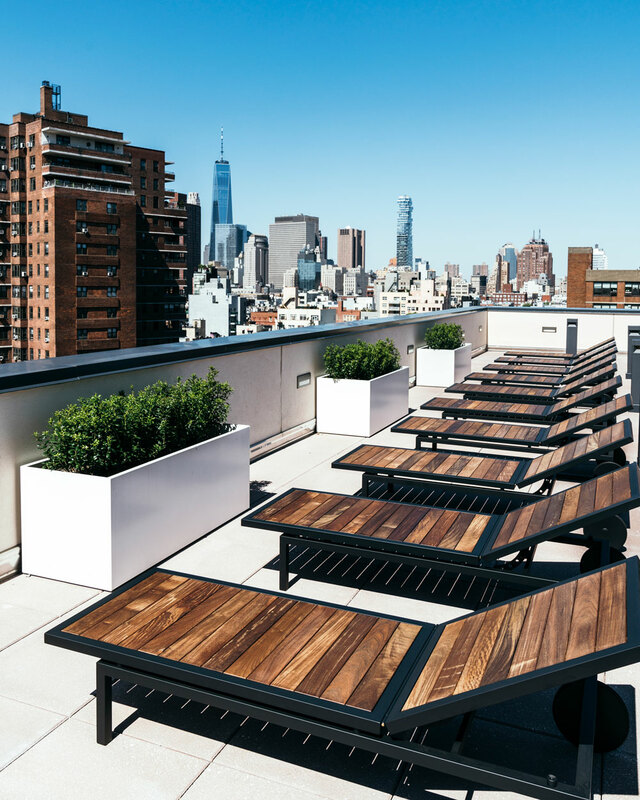 The building has its own fitness center, entertainment lounge, children’s playroom, and a landscaped rooftop garden with breathtaking views. 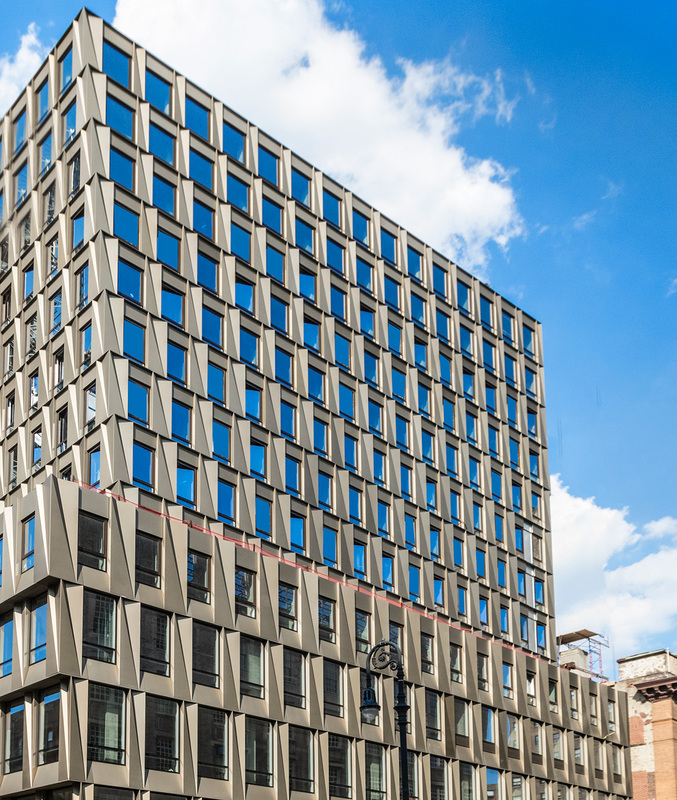 The Offices at Essex Crossing is the new Campus for innovation. 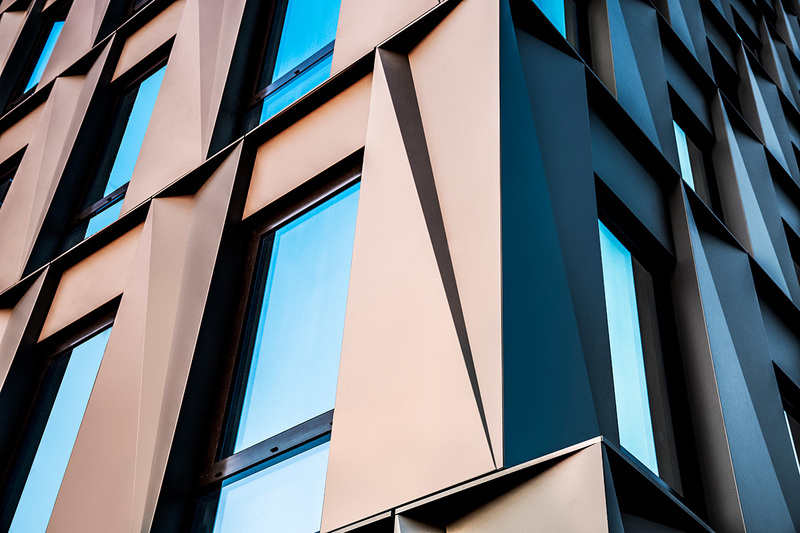 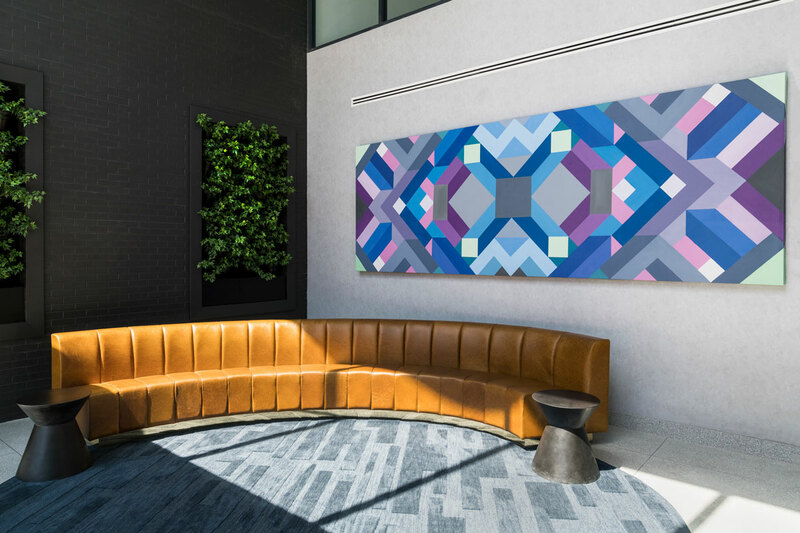 Set in the Lower East Side’s eclectic art, music, green space, and culinary scene, Office East and Office West bring modern amenities to the New York’s cultural apex. 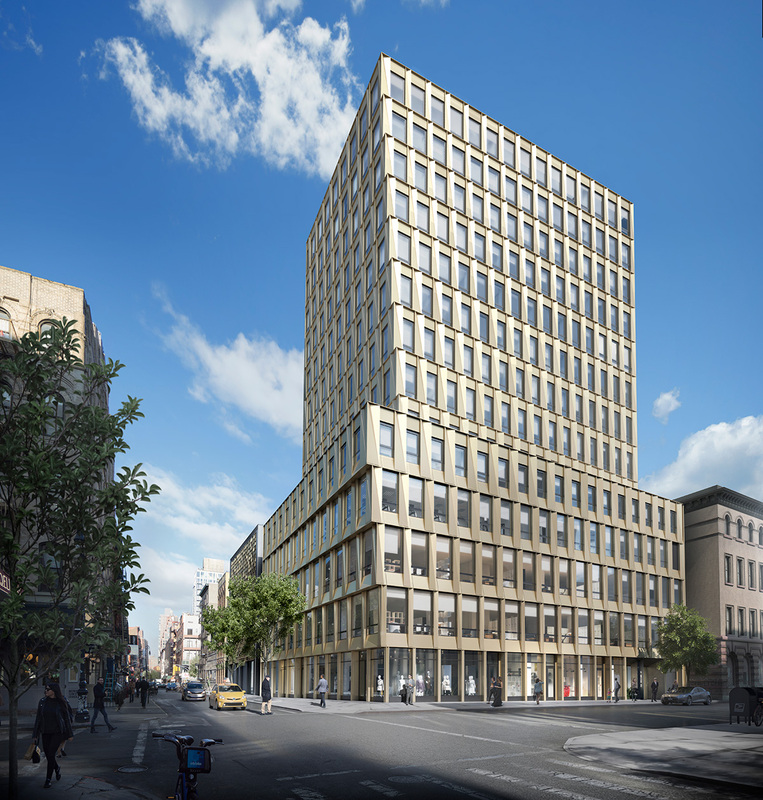 At the corner of Delancey Street and Clinton Street, this 14 story building will feature ninety-nine rental residences for seniors. 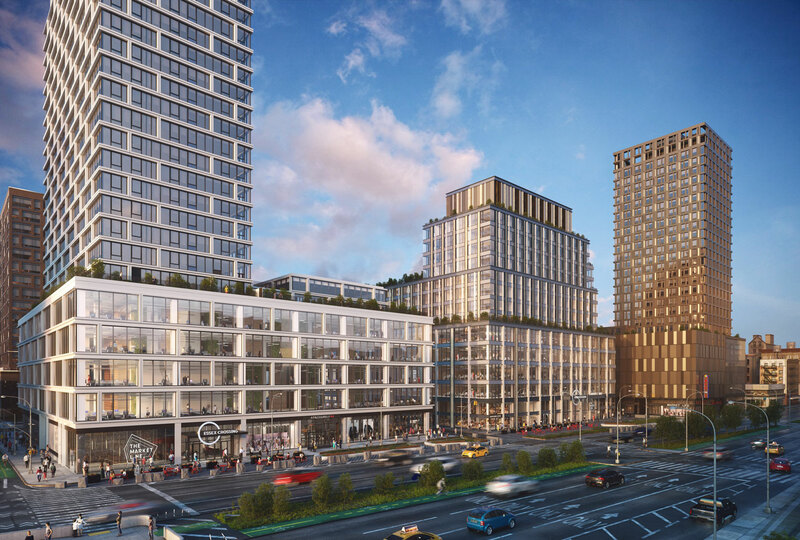 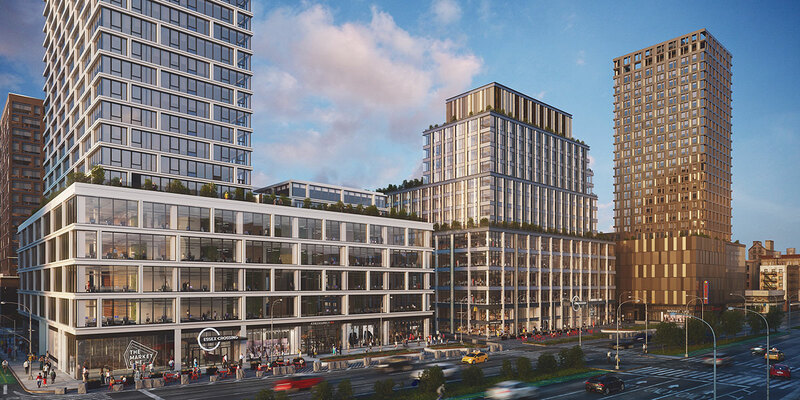 It will house a new NYU Langone Medical Center and ground floor retail, as well as a workforce development and social enterprise café, The GrandLo, and an expansive intergenerational community center, both operated by Grand Street Settlement. 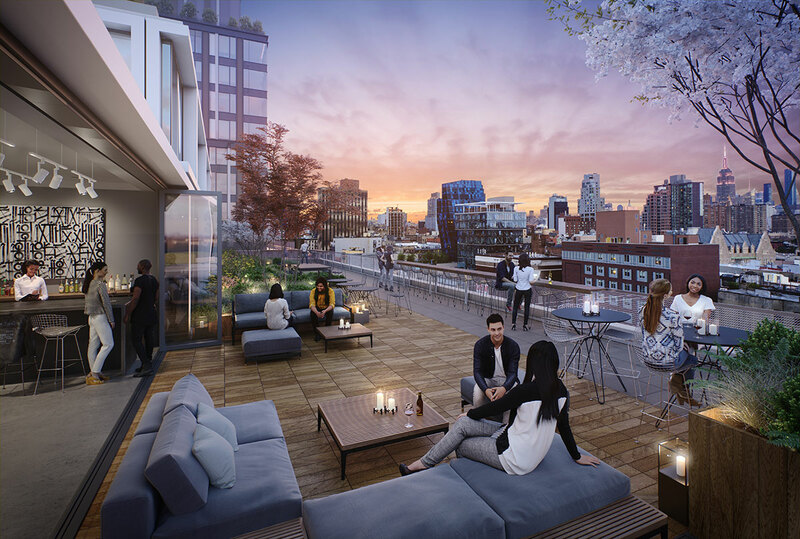 Site 6 will be capped by rooftop gardens and focus on energy efficiency through the use of solar panels. 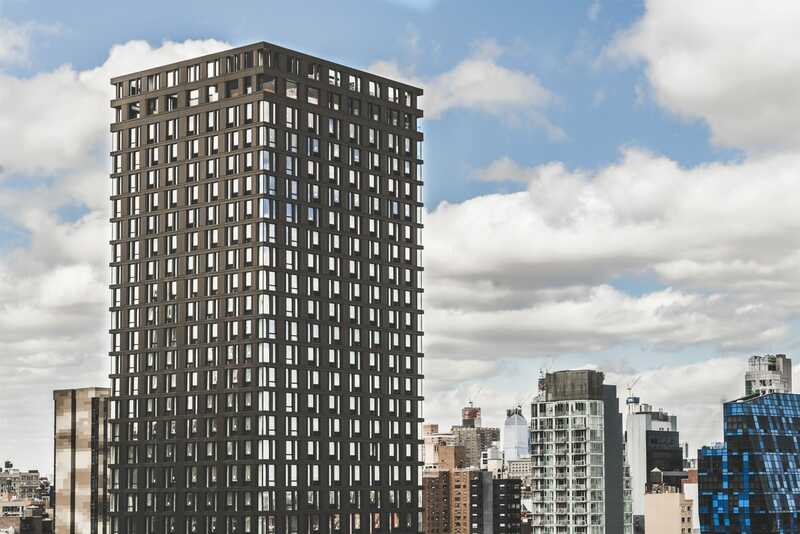 This 15-story building will offer a mix of studio, one-, two- and three-bedroom apartments, as well as a publicly accessible park bordering its northern edge. 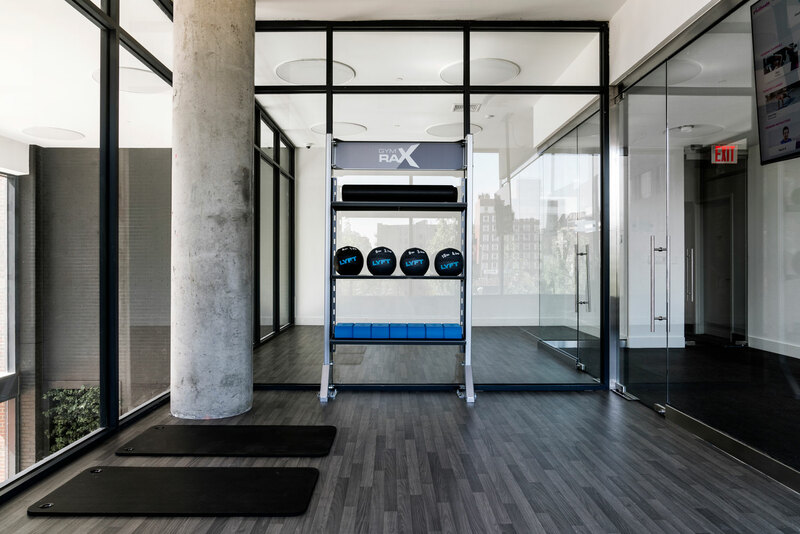 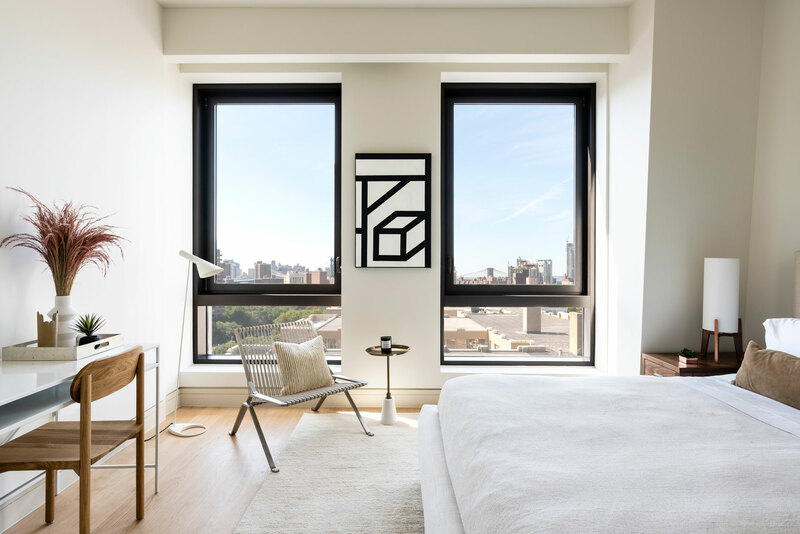 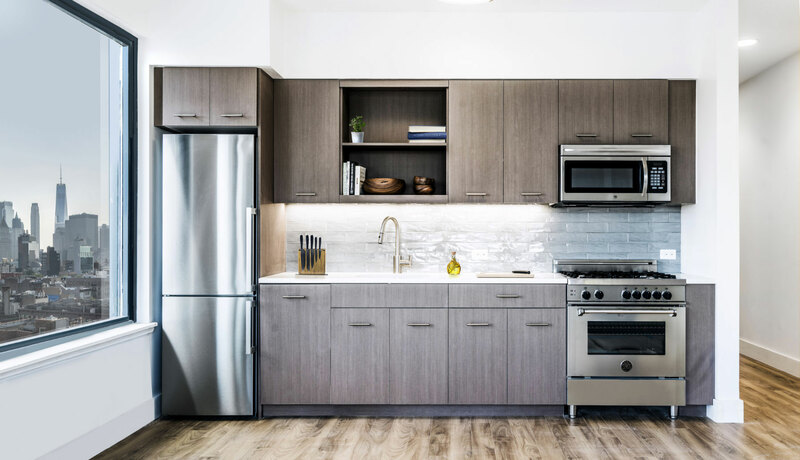 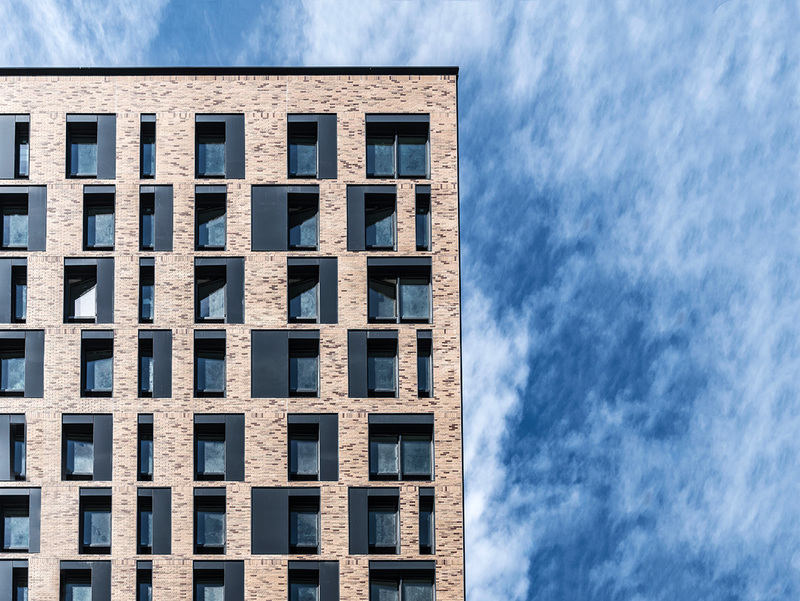 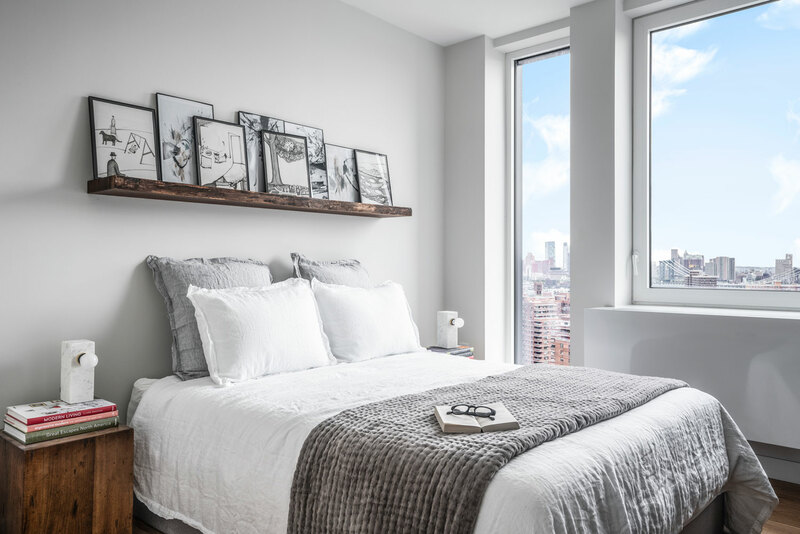 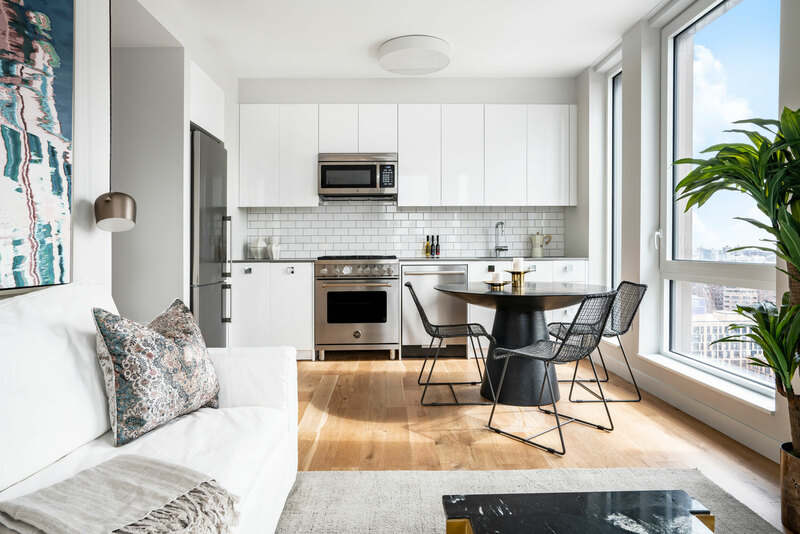 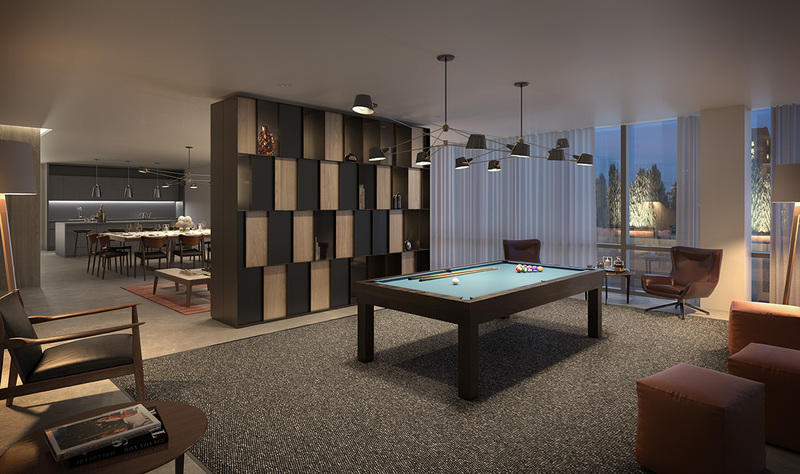 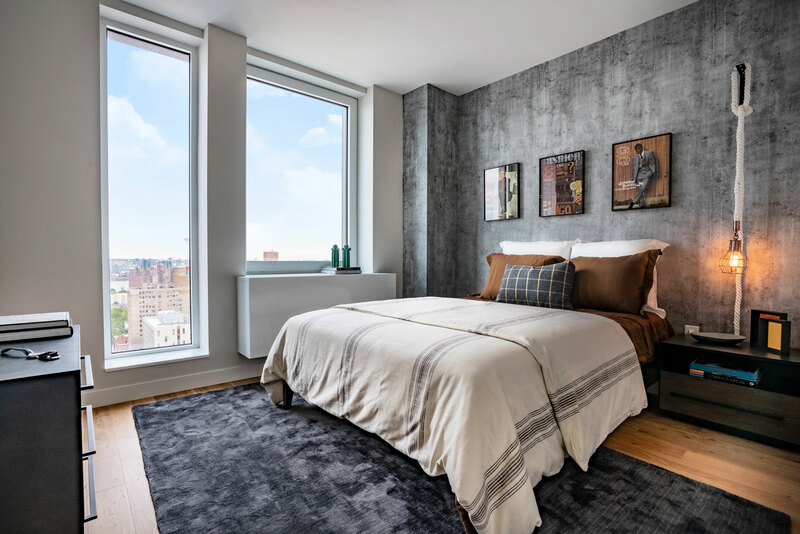 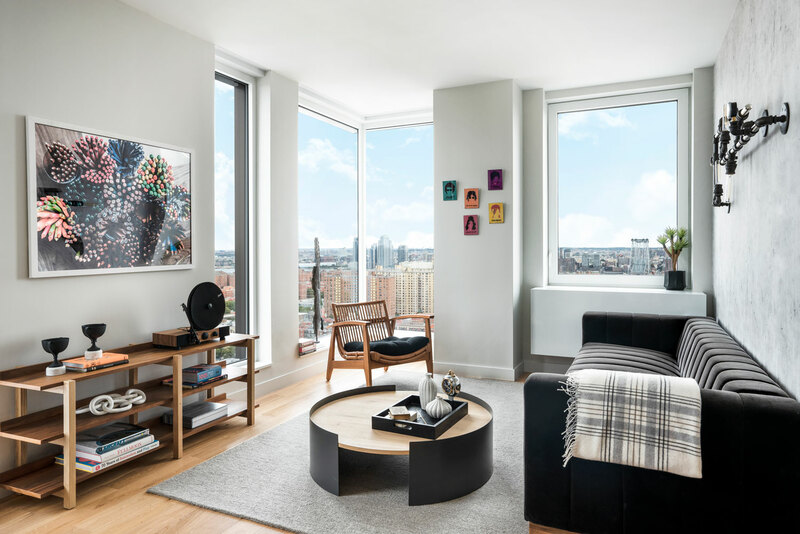 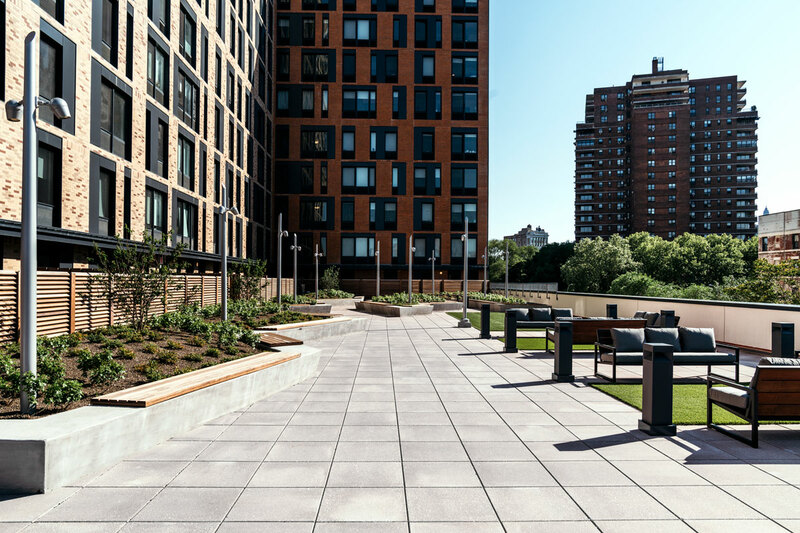 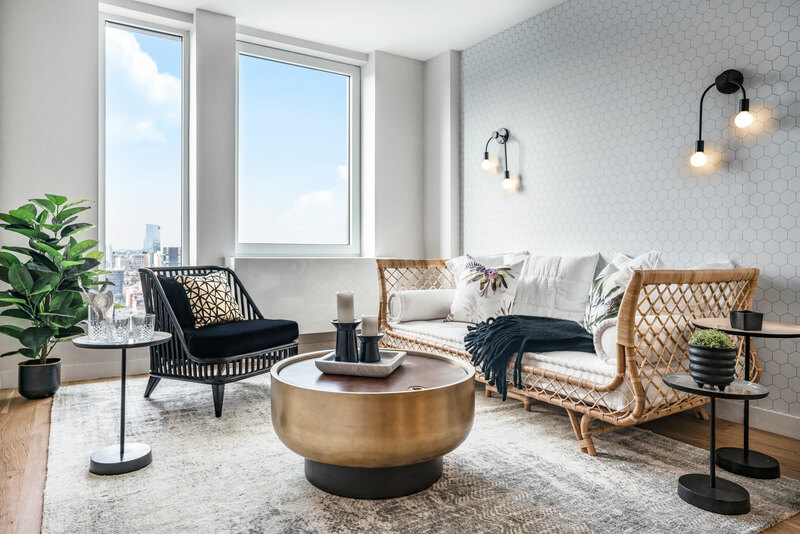 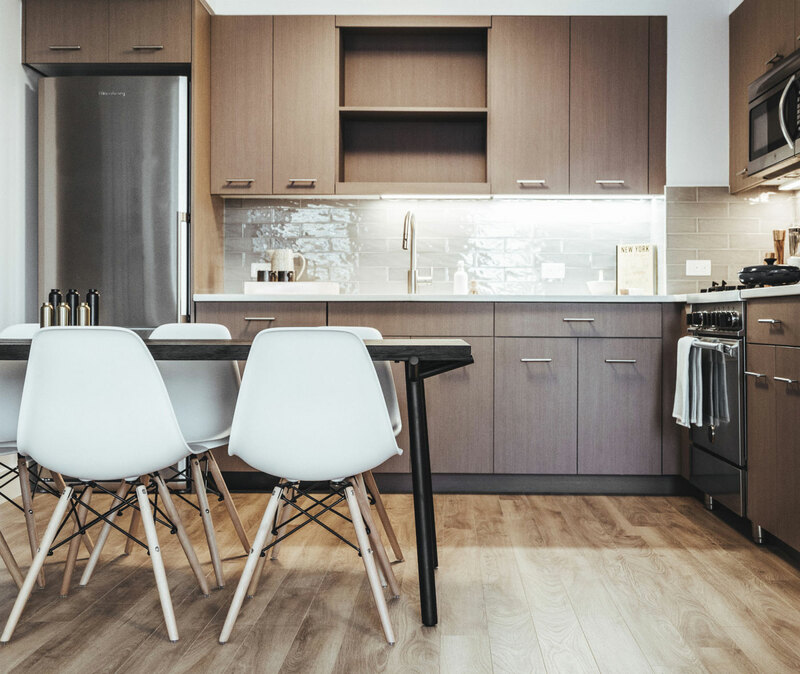 Amenities include communal terraces, a fitness room, a yoga room, a children’s playroom, a dog-wash room, bicycle storage and a resident’s lounge. 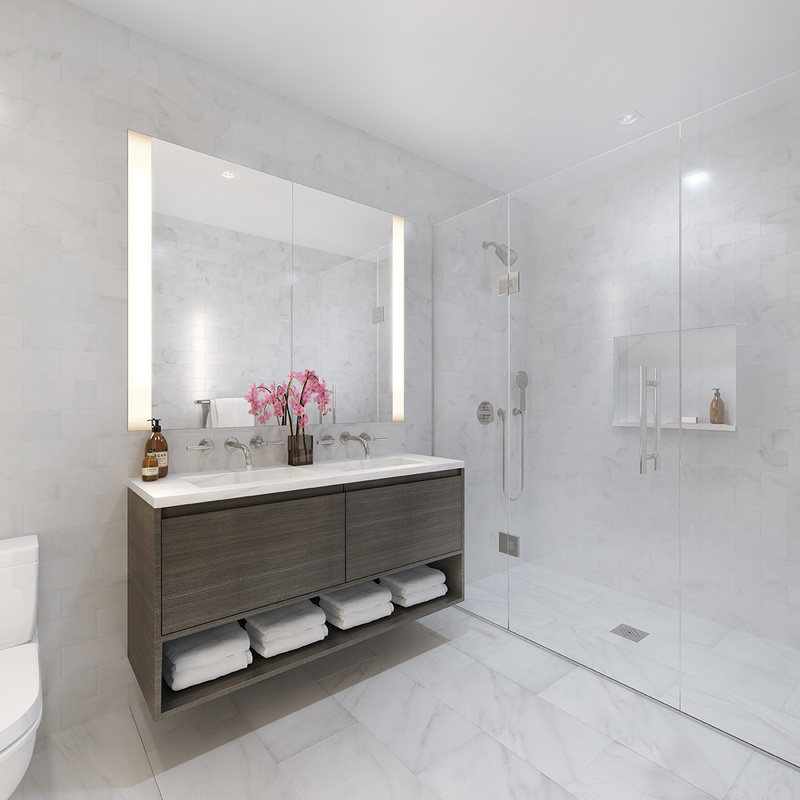 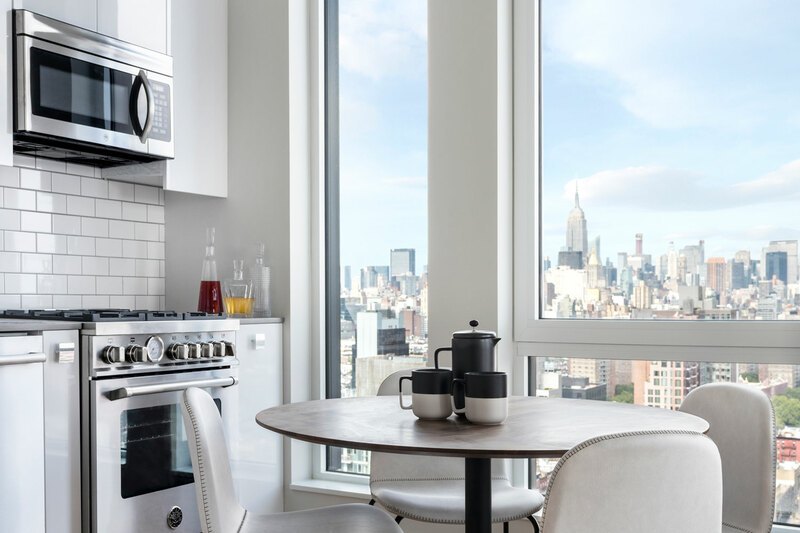 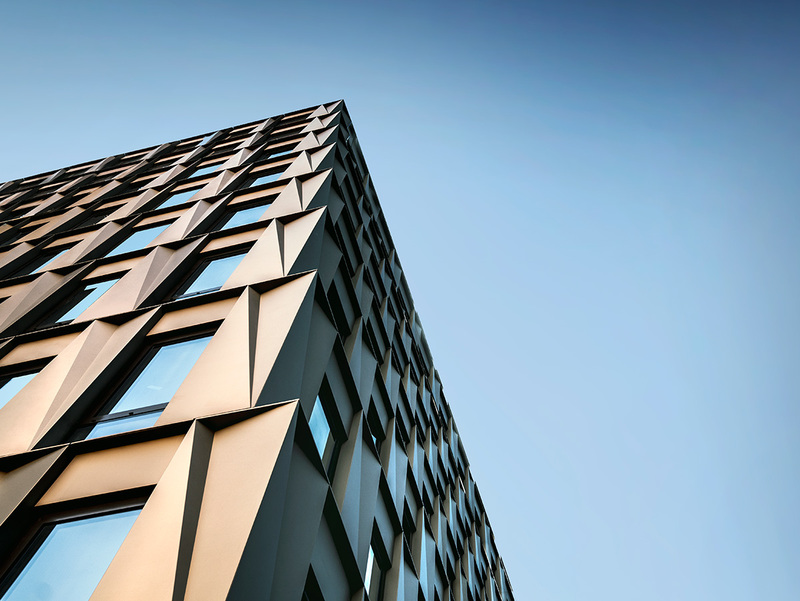 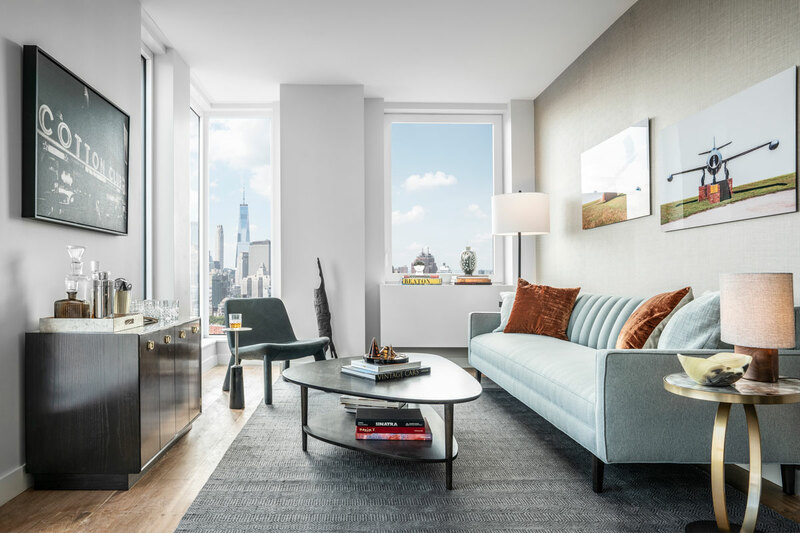 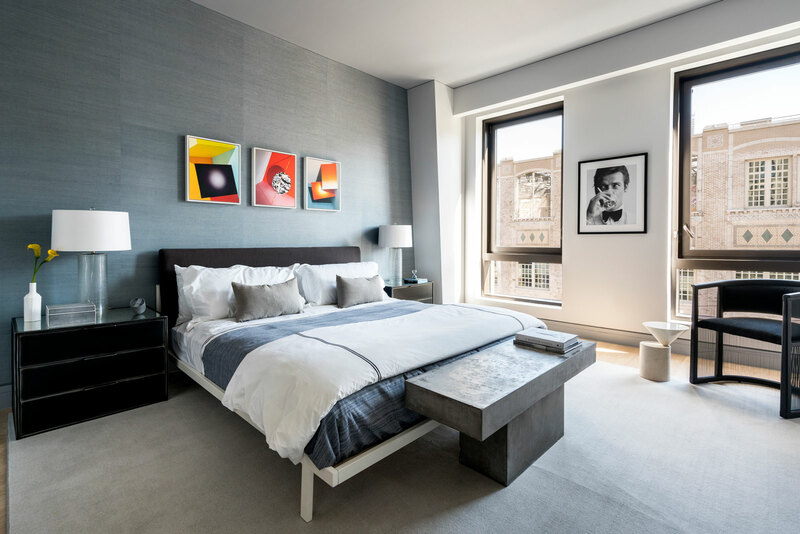 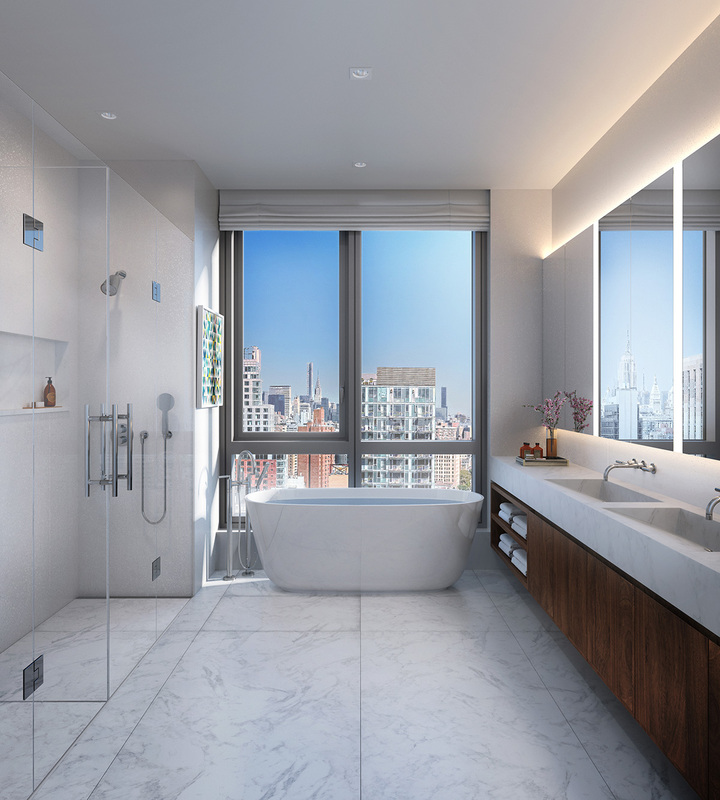 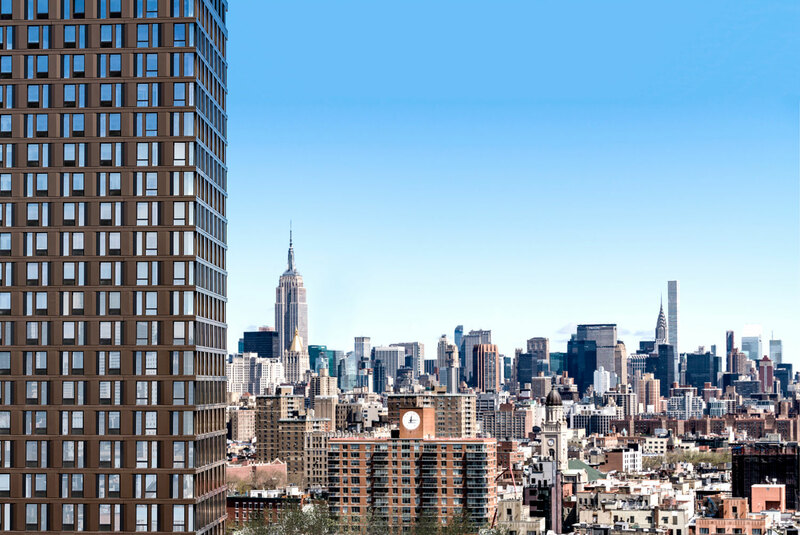 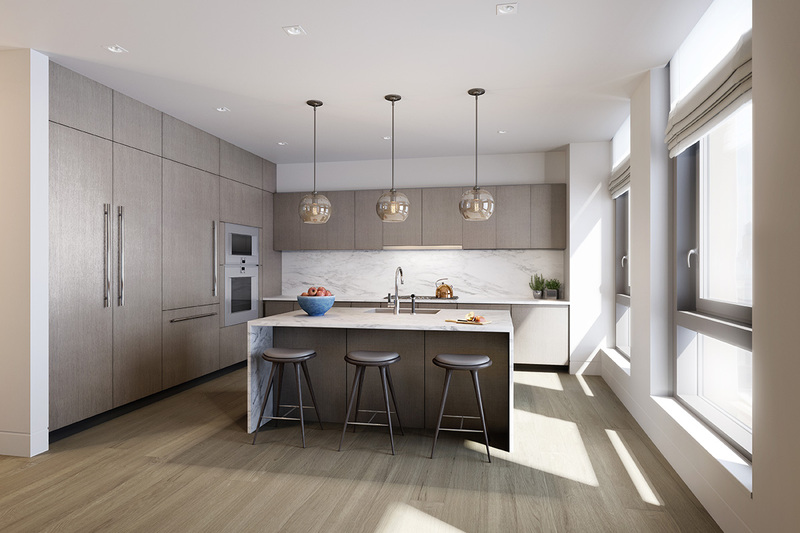 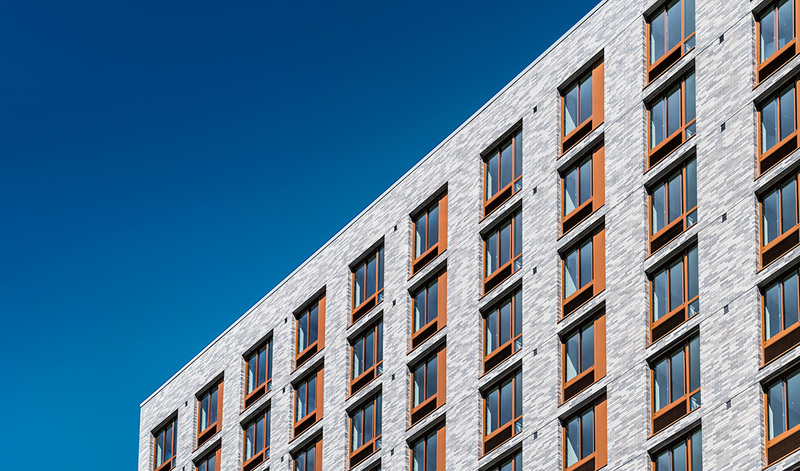 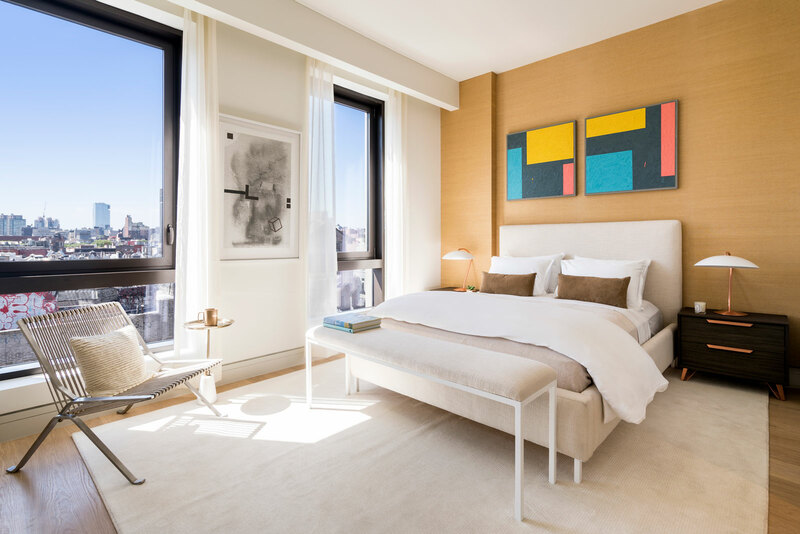 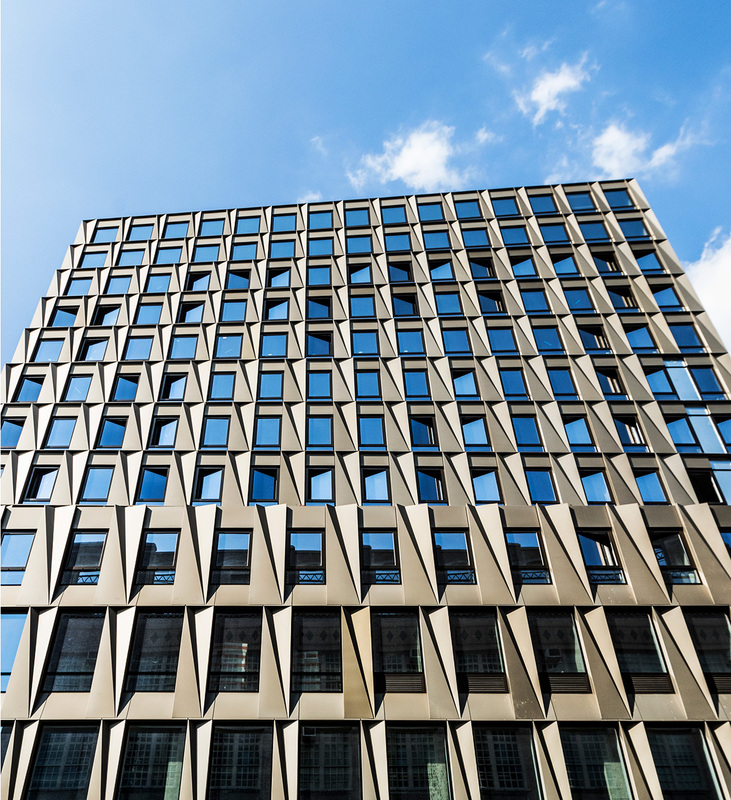 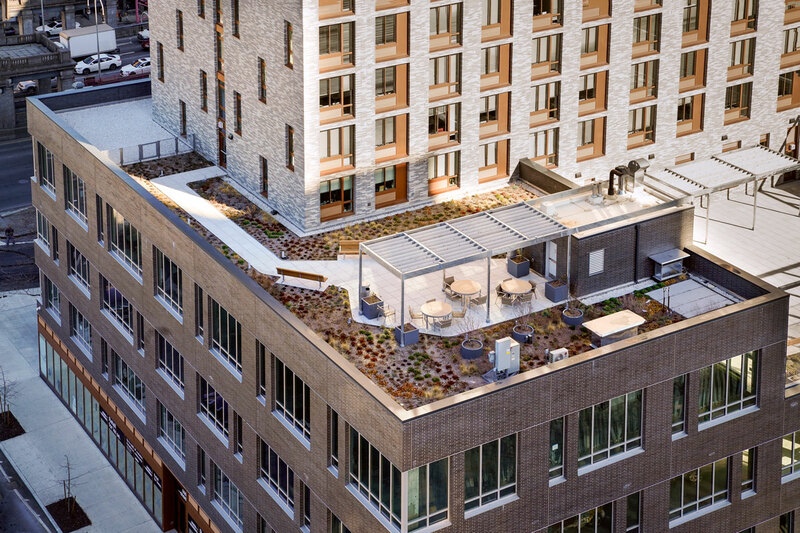 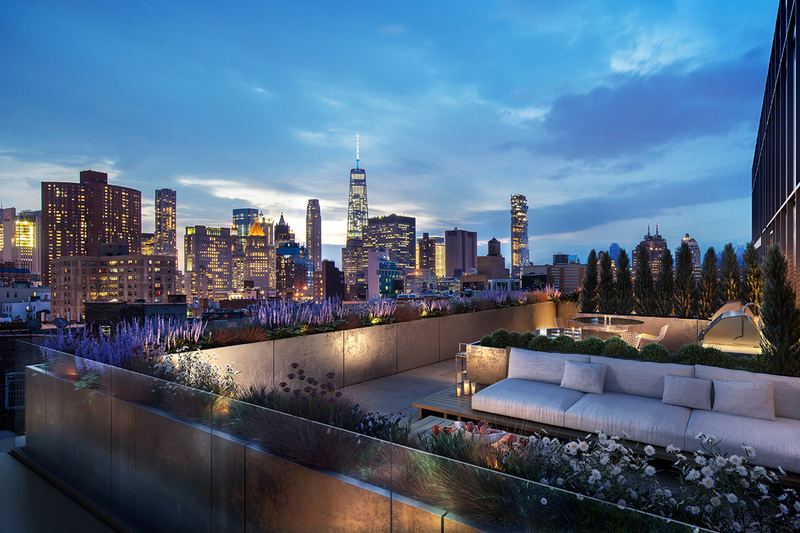 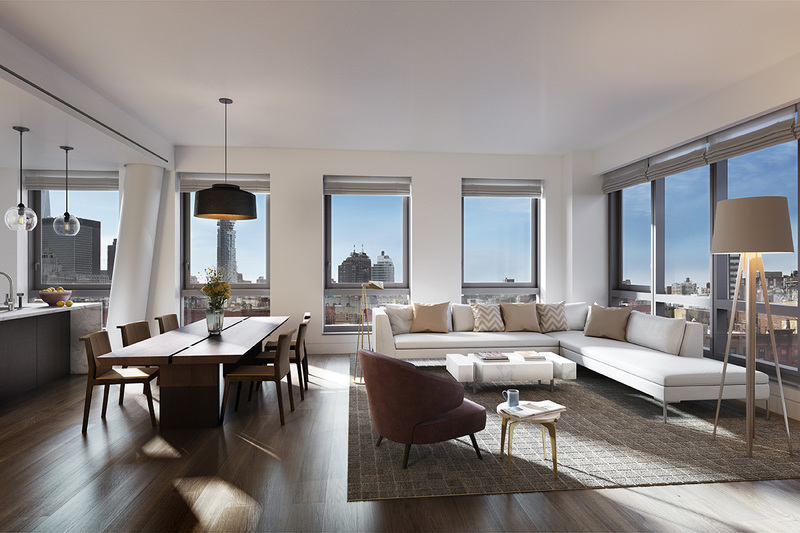 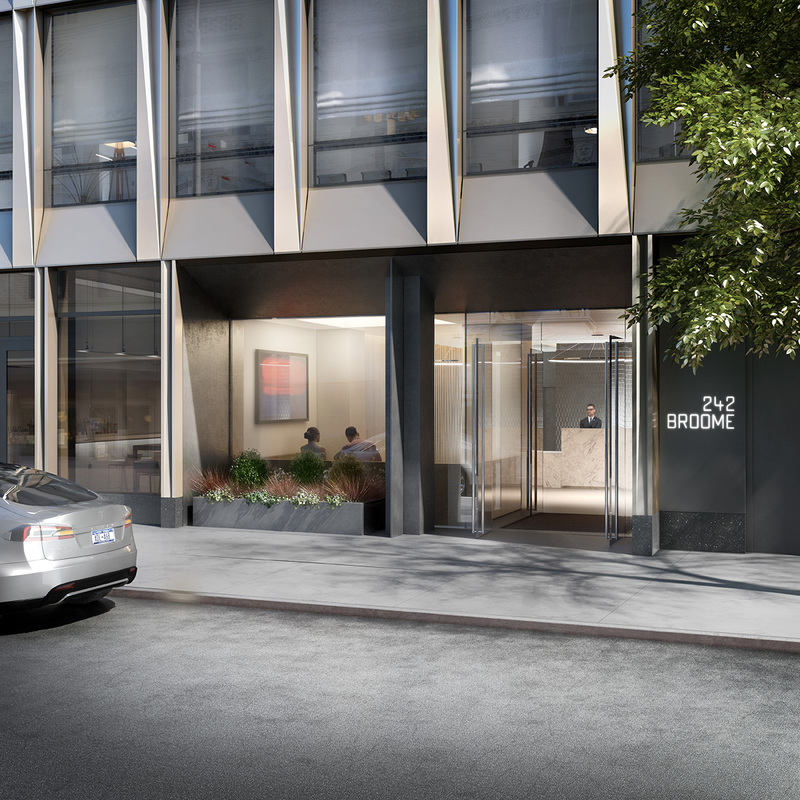 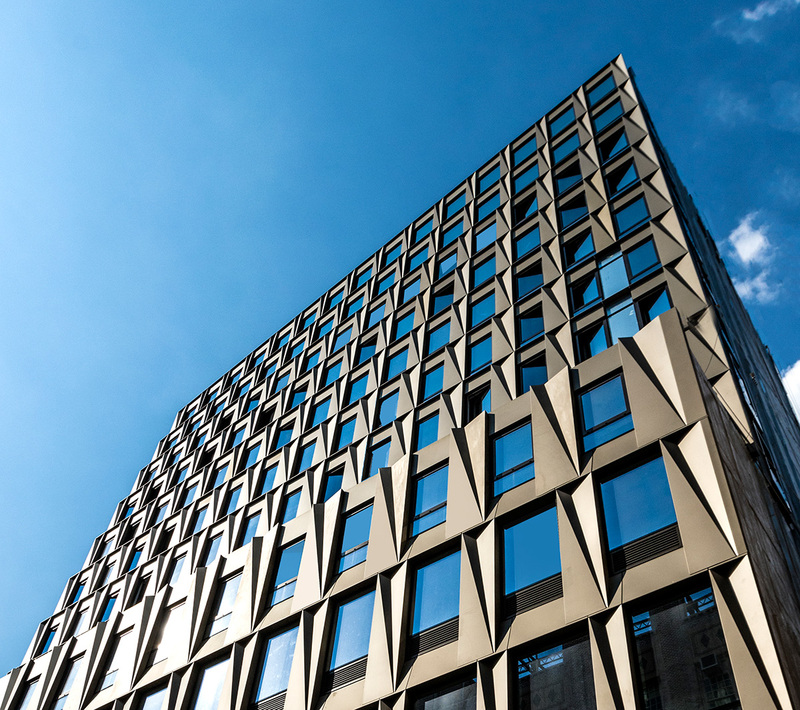 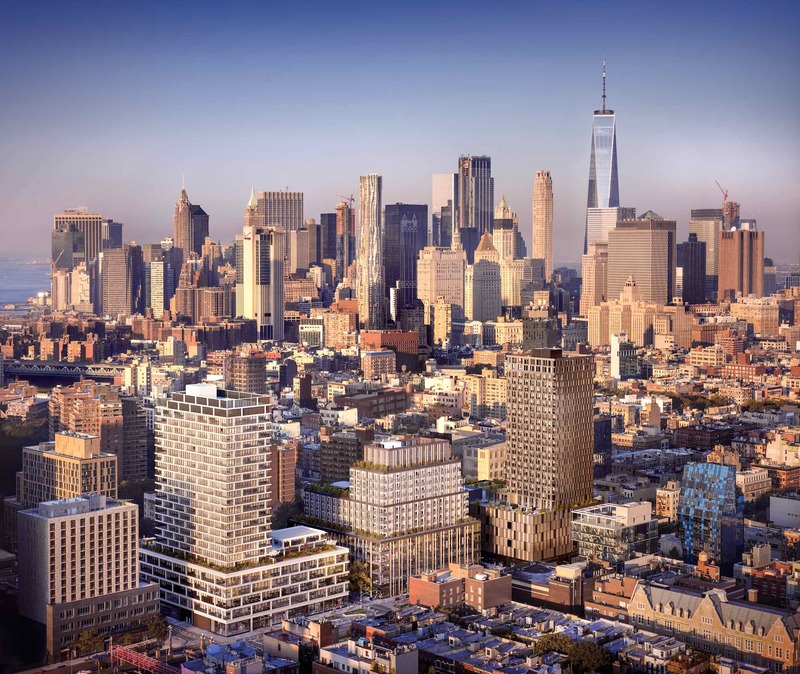 Essex Crossing is an unprecedented development in the heart of the Lower East Side. Spread over 1.9 million square feet, it comprises nine sites with over 1,000 new residences, 450,000 square feet of retail, 400,000 square feet of office space, community attractions, and green spaces. 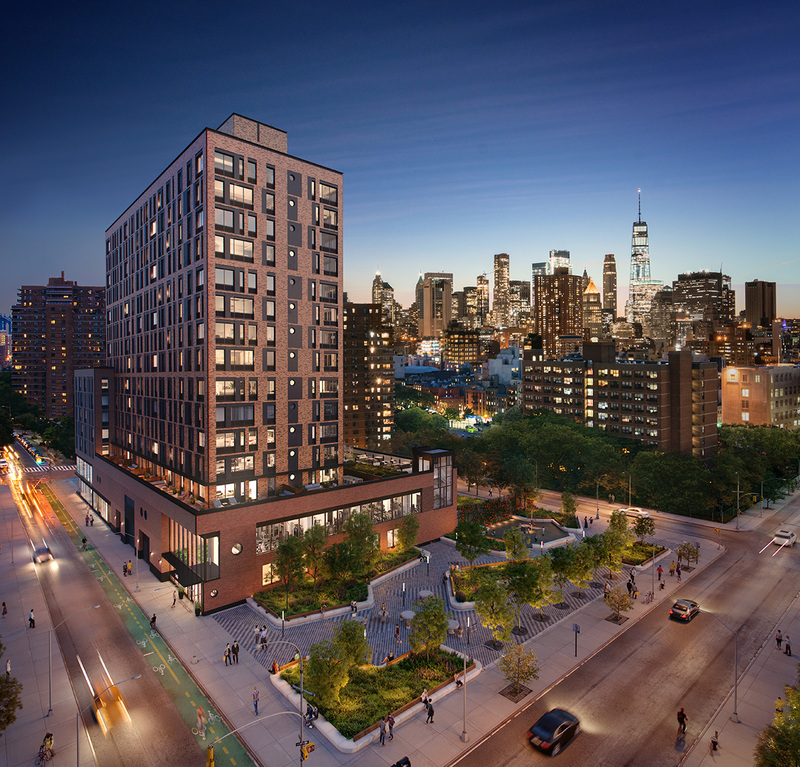 These nine sites, commonly known as the Seward Park Extension Urban Renewal Area (SPEURA), sat mostly vacant since 1967 and represent one of the most significant urban renewal developments in the history of New York City. 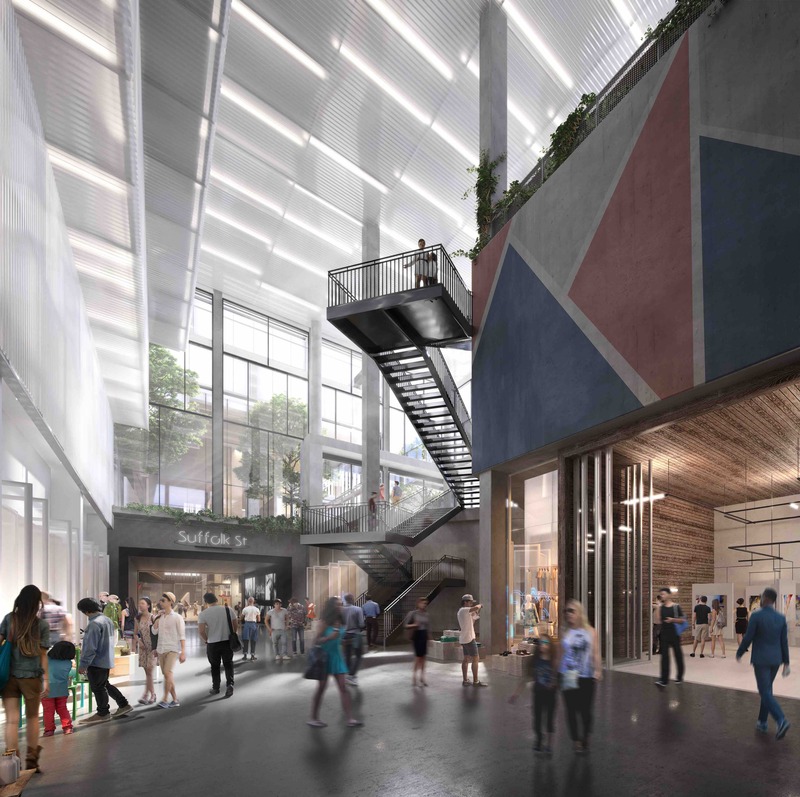 Phased construction began in the late Spring/early Summer of 2015 and is planned to be completed by 2024. 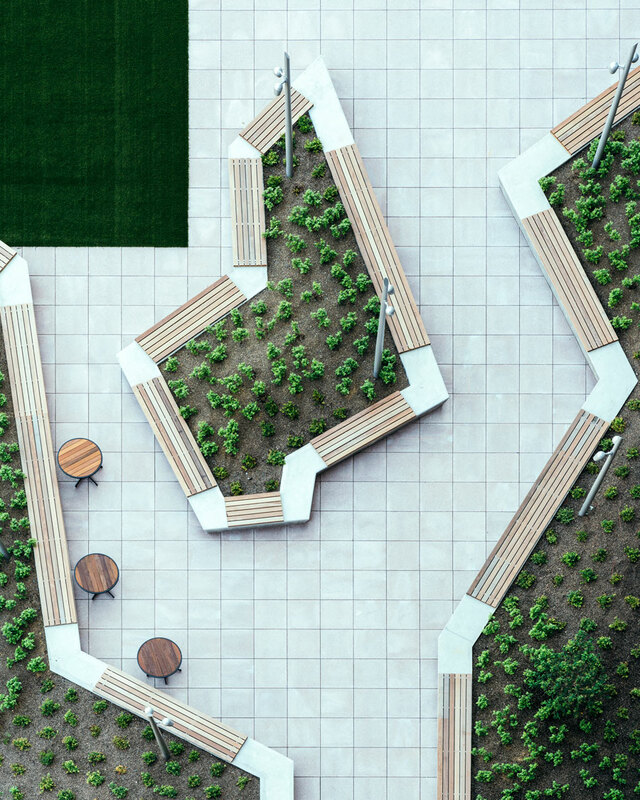 Cornell Capa founded the International Center of Photography (ICP) in 1974 to preserve the legacy of “concerned photography”—the creation of socially and politically minded images that have the potential to educate and change the world. 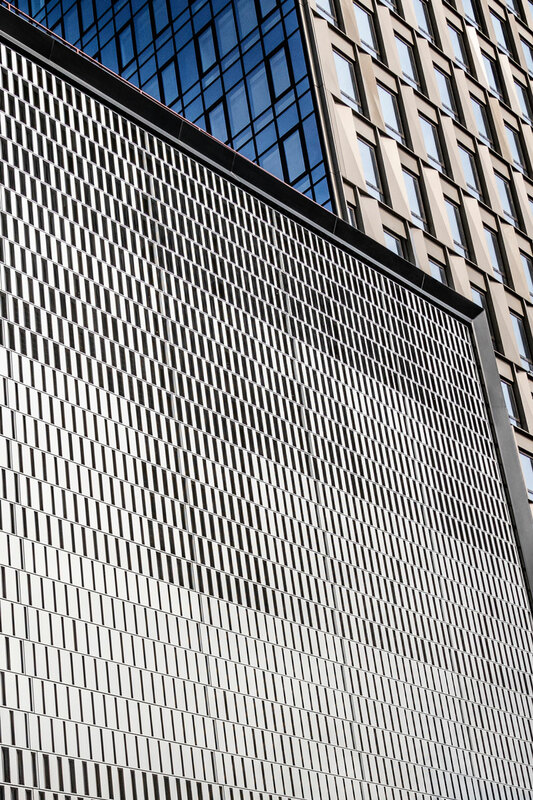 The center’s mission endures today, even as the photographic medium and imagemaking practices have evolved. 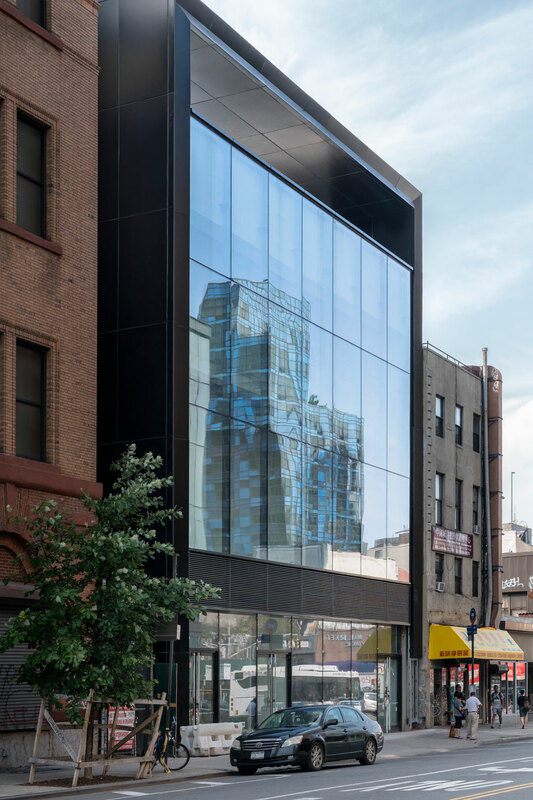 Through its exhibitions, classes, public programs, and community outreach, ICP offers an open forum for dialogue about the role that photographs, videos, and new media play in our society. 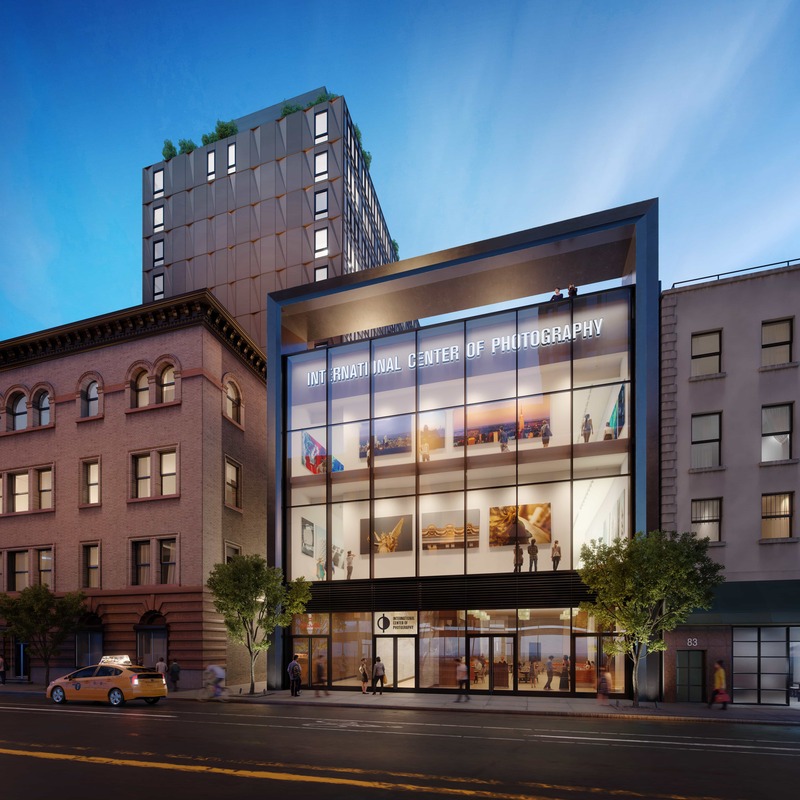 ICP will move to its new home at Essex Crossing in 2019.